A helpful guide for the latest CBSE class 12 guess papers for 2019. This article will help you to give the latest CBSE guess papers for class 12 all subjects which are prepared by experts. You can download the class 12 model guess papers in PDF files along with their solution. These sample guess papers are prepared according to the latest CBSE board exam pattern. Guess papers are famous for their important questions. Here are the new guess papers for class 12th Maths, Physics, Chemistry, Biology, Computer Science, English, Accountancy, Economics, Business Studies, etc. There are many rumors about guess papers and therefore students are very interested in these papers particularly in the board exam time. One of the rumors is that questions of guess papers can come in the board exam but this is just a rumor and nothing else. But one positive side of guess paper is that solving guess papers and sample papers makes preparation better. Students should understand that there may be chances that questions can be asked from guess papers but remember that its only chance. So, instead of thinking that way student should focus on their practice and preparation. Guess papers can help to ace the final board exam if the student follows the right methods. 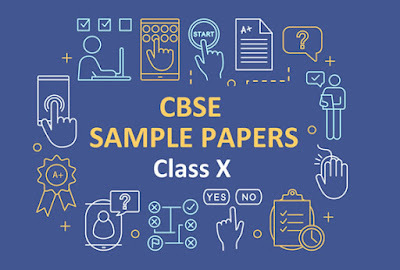 Latest 2019 CBSE class 12 sample papers. Download sample practice papers along with their solution PDF files. Here you will find sample papers of all major subjects such as Maths, Physics, Chemistry, Biology, Computer Science, English, Hindi, Accountancy, Business Studies, Economics, and other major subjects. Sample practice papers are the essential need of students who are appearing for the board exam. Each year CBSE Board publishes the latest sample papers for board classes i.e., class 10th and 12th. As we have discussed the importance of practicing sample papers in our previous article of class 10 sample papers, we will go through with some ideas, strategy for practicing sample papers. Because just solving sample papers especially given by CBSE will not give that much benefit to the students. Research is also needed on those sample papers. Let's first know how to practice sample paper for board exam preparation. How To Practice Sample papers? Follow these points given below while practicing the sample papers. Give proper time to practice sample papers: While solving sample papers of any subject you should give yourself the same time which is mention in the paper. For instance, the duration of maths sample paper is 3 hours. So you should give yourself exactly 3 hours solve. And Apply this method with all subjects. This will improve your timing skills for solving papers. Observe CBSE paper pattern: cbseacademic has given out the latest official CBSE sample papers you should download and practice those sample papers and while solving those papers don't forget to research on the paper pattern. Paper pattern includes, how many questions are there in each section, question belongs to which chapter and types of questions and relate them to your chapters. Make Notes: while practicing the sample papers for class 12 or class 10, simultaneously you should make notes of the questions and topics which are difficult. After solving all the sample question papers revise those topics and questions. Practice Hard: Solve at least 5 to 10 class 12 sample question papers for all subjects. That is why preboards are conducted before the board exam so that you will experience the board exam or get a similar experience. Same as preboards, you should do it with sample papers and latest guess for class 12. This practice will give you positivity and make you confident. These are the few points you need to follow in order to make your preparation best. Followings are the original CBSE class 12 sample question papers and marking scheme (solution) for board exam 2019. You can directly download these sample papers and solution in PDF files or you can access online in your browser. And also, make sure to follow helpful tips given above for practicing sample papers. These are the sample practice papers for class 12 along with the solution. Also, get a brief idea of board exam papers by solving the latest CBSE model guess papers for class 12. If you are not able to find sample paper for your subject then please leave us your comment below. These sample papers are taken from cbseacademic which is another official site of CBSE. Time is a very precious thing. Utilize this precious time with these sample practice papers. Devote your full attention to the board exam preparation. And be positive and be confident. If you practice hard you will surely achieve your goal. So Prepare yourself for the board exam by practicing these sample question papers. Latest CBSE Sample Papers, Guess Papers with Marking Scheme 2019. Download PDF and Practice CBSE Sample Papers for Class 10 For the Subjects Maths, Science, English, Hindi, Social Science. Hello Students, Our teacher recommend us to practice sample papers for the board exam. We search sample papers on Google many times and many sites appear but every site has same sample papers which are issued by CBSE itself. Here your search is finished. Here you will find latest and well research sample practice papers for class 10 with solution according the latest syllabus pattern given by CBSE. But first, you should know why and how sample papers are so important? and how to practice them for your final board exam. Question: Why Sample Papers for Class 10 are so important? Practice Makes Man Perfect: practicing sample papers will make your preparation perfect to score good marks in your final exam. As there is no other way to success than practice. The idea of Paper Pattern: by solving CBSE sample papers, you will get the idea of the board exam paper such as how the exam paper will be? how many questions there will be? which type of questions will come. This idea shapes your direction of preparation. Where to focus more and where you need to practice. Increases confidence: more you practice sample papers, more you will get confident for your upcoming board exam. Since this is the first time when class 10 students will appear for the board exam and they are nervous about the name "board exam". So sample papers practice breaks their nervousness and gives them confidence. Better Time Management: One of the most common problem students faces in the exam that they could not complete their paper within the time. Practicing sample papers helps the students to complete the paper in time. Revision: As student practice sample papers, they are actually revising their syllabus but in a different way. And revision is the most important part of exam preparation. Score Good Marks: Sometimes students get lucky because some questions appear on board exam paper which they have already practice in the class 10 sample papers. That is why students search for latest guess papers for their board exam. These are some major advantages of practicing sample papers and latest guess papers for class 10. But you should practice the latest sample papers for class 10 and here you will get the latest practice papers given by CBSE. There are five major subjects in class 10 which are: Maths, Science, Social Science, English, and Hindi. Out of these five subjects, Social Science, English, and Hindi are three subjects where students can score full out full marks i.e., 100% marks. Remaining Two Subjects Maths and Science are considered as important and tough subjects. Here are the latest sample papers for class 10 given by CBSE with the latest board exam pattern. Download and practice these sample papers and solutions. If you have any doubt on these CBSE class 10 sample paper then you can ask on the comment section given below. I will try to solve your doubts and queries. All the best for the board exams.